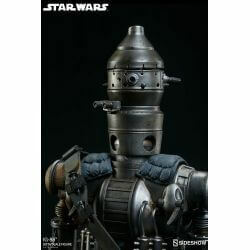 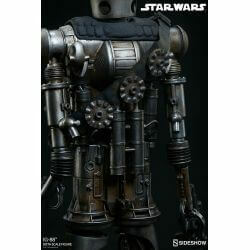 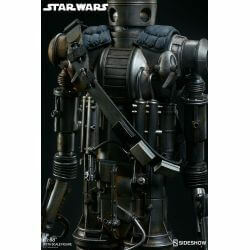 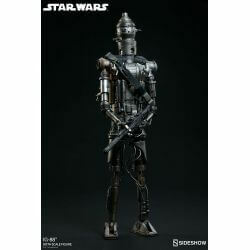 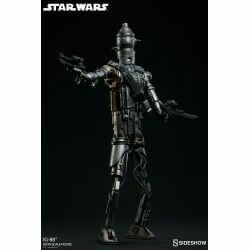 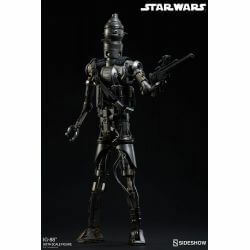 IG-88 Sixth Scale Sideshow Collectibles : sixth scale Sideshow Collectibles collectible action figure of IG-88 as seen in the movie Star Wars The Empire Strikes Back. 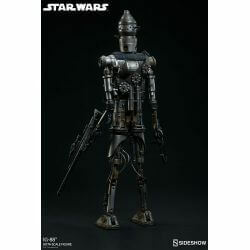 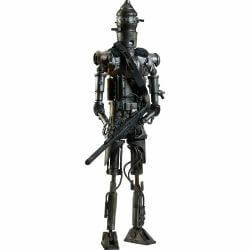 Then there is IG-88, the first of the assassin droid models created in secret by Holowan Industries. 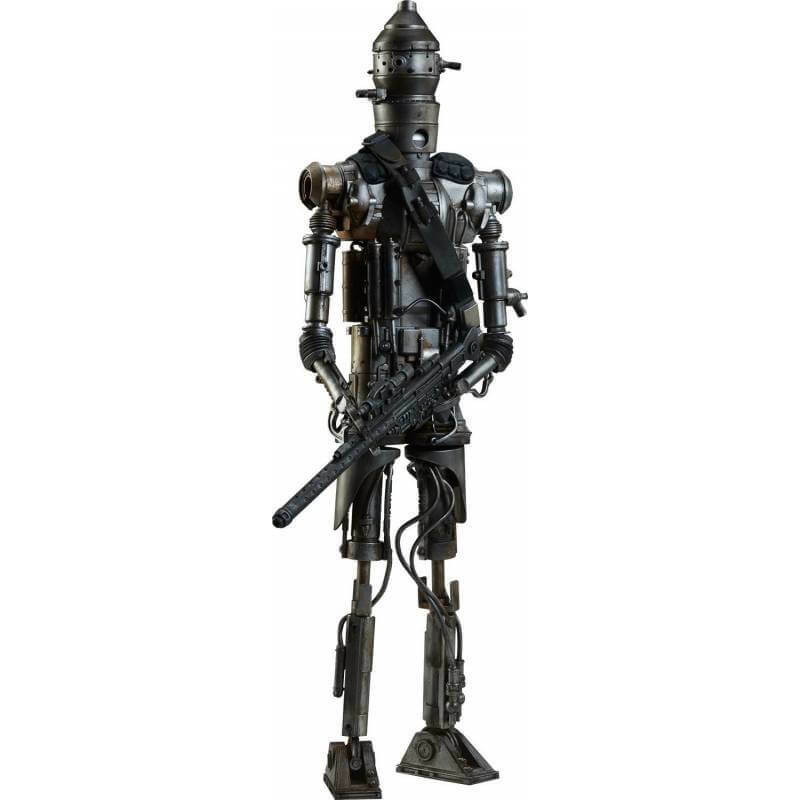 IG-88 realized his skill and desire to kill the moment he was first activated. 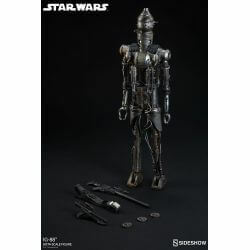 From that moment on, he became one of the most feared bounty hunters in the galaxy. 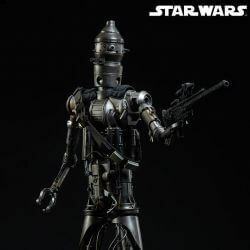 Sideshow's IG-88 Sixth Scale figure of the feared droid features a new movie-accurate paint scheme, three newly sculpted concussion grenades, a fabric bandolier, BlasTech E-11 Blaster, and DLT-20A Blaster Rifle.